Whether you are constructing a new structure or retrofitting an existing structure, you will realize the requirement for fiberglass slide gates and guide frames. With the wide variety of gates available on the market, selecting the right one can be a hassle. Plus, not all fiberglass slide gates and guide frames are made equal. Therefore, selecting the right design and fit for your requirement is important. This is where the Warminster Fiberglass Company can help you. We manufacture a wide range of fiberglass slide gates and guide frames. 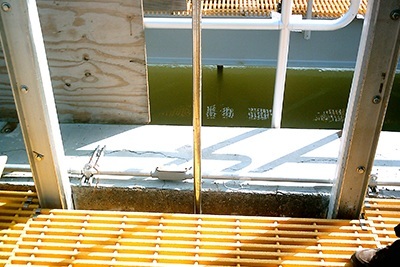 Our products are designed to be used for a variety of applications in municipal and industrial water and wastewater treatment plants. 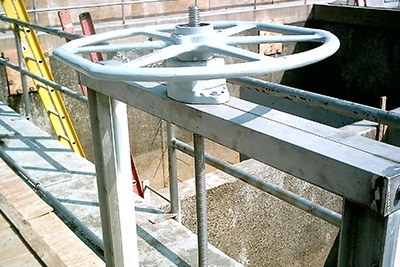 Using our slide gates and guide frames, you can easily control and divert the open flow of the water you are dealing with. Keeping in mind the requirements of treatment facilities, our gates are designed to resist corrosion from fluids, sunlight, salt spray, and other environmental factors. Our slide gates are sturdy, durable, and long-lasting. By investing in our products, you can rest assured they will last you a long time, without the risk of corrosion or decline in performance. The use of high quality materials is the key to ensuring the integrity of our slide gates. For this purpose, we use high-strength 3/8” thick laminate for fabricating the slide gates. To further strengthen the slide gates, we use laminate that is integrally molded with aluminum and steel angle stiffeners. This means the gates will prevent deflection. To improve the flexibility and versatility of our slide gates, we keep the weight of the slide gates to a minimum. This allows you to lift the slide gates, even the largest ones, manually, without any extra effort. 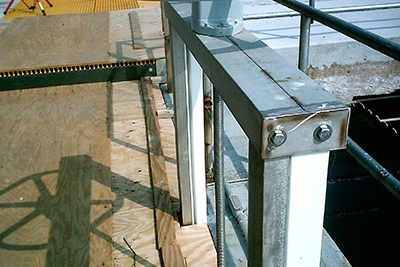 You can also select slide gates that are motor operated or handwheel operated.